Born in Yorkshire he was encouraged from an early age to play music and take photographs. He studied at the Royal Manchester College of Music and Manchester University before taking up a position in the Royal Opera House orchestra and the BBC Symphony orchestra. In 1955 he moved to Glasgow where he became deputy leader of the Scottish National Orchestra. 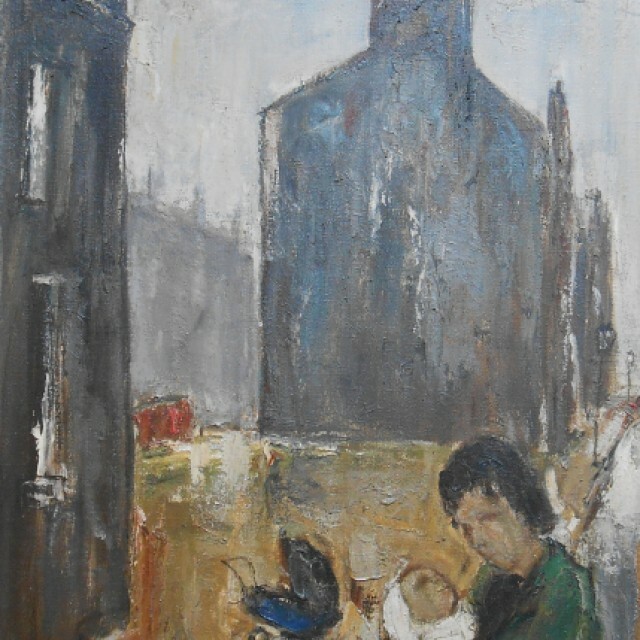 It was here in Glasgow that he was inspired to paint scenes of shipbuilding and the trams, inspired by the city in transition. After moving south, he continued to be involved strongly in music tuition.